Natural Childhood, the report written for the National Trust by Stephen Moss, has received a lot of publicity this week. charts years of academic research and a steady stream of surveys on the subject, highlighting how a generation of children is finally losing touch with the natural world. The report outlines a clear need to tackle the rise of ‘Nature Deficit Disorder’, a term coined by the US based writer Richard Louv, to describe a growing dislocation between children and nature. “We have all seen the headlines about the decline in children’s play in the outdoors. “We all know the benefits being outdoors can bring, and as parents we want our children to spend more time outdoors than they do. You can download Natural Childhood from the Trust website. "Obviously the term 'Nature Deficit Disorder' is intended to be a neat phrase to capture the public and media's attention rather than something to be considered as a genuine clinical condition. "Yet despite this there is a growing body of evidence that indicates that children's physical, emotional and social development is hampered by the increasing restrictions on their ability to explore the world around them and to process their discoveries on their own without adult supervision. "Parents are rightly concerned about children's safety although some of this is driven more by myth than fact: paedophilia is often cited as a reason to keep children at home yet statistically we know they are far more likely to be harmed indoors by people who know them. On the other hand, levels of traffic have increased markedly and has contributed to the limited range that current children are now allowed to wander unsupervised. "There is no doubt, however, that exploring and connecting to the natural environment is essential to children's development and not simply because this removes them from excessive exposure to the sedentary world of television viewing and computer games: establishing a relationship with the natural world not only reconnects all of us to our place within nature but also helps us understand the nature that is within us all." I spent the afternoon at the Green Light Festival, which was held at De Montfort University in Leicester. 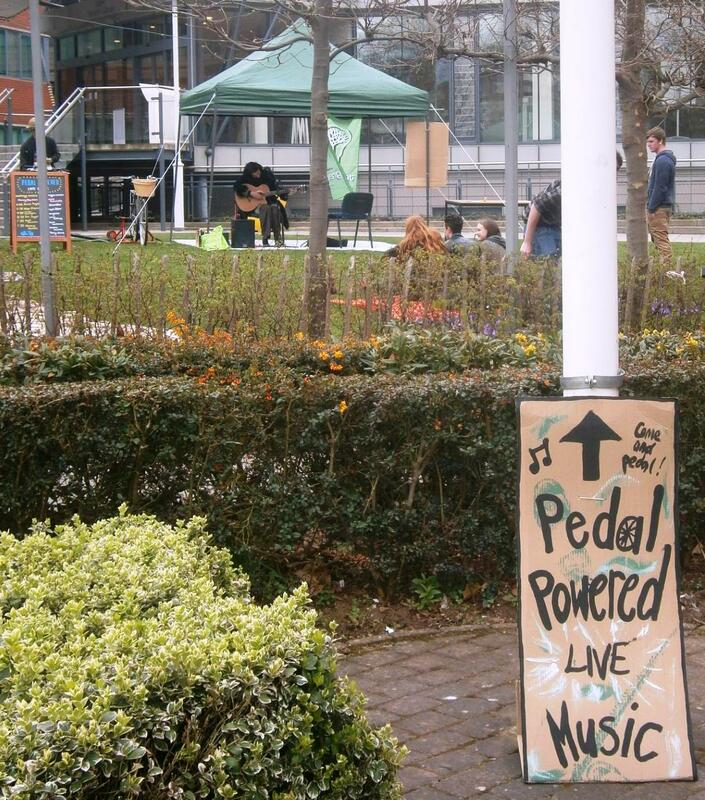 Green Light is Leicester’s festival of sustainable living. It’s organised by a team of passionate local volunteers and showcases the best of all things green in Leicester… through talks, workshops, performance, kids activities and a whole lot more. Leicester’s huge range of environmental community projects will be on show, and the event will share lots of ideas for action that you can take at home, in business and in your local community. I attended two of the sessions: a talk on using social media for campaigning by John Coster from Citizens' Eye and one titled "Car culture is over if we want it" by Andy Sakeld from Ride Leicester. We left the young E. Phillips Oppenheim living at Portland Towers, working unhappily in his father's business and spending his evenings writing stories. He wrote his first book 'Expiation' in 1887 and in 1898 he published 'The Mysterious Mr Sabin', which he described as "The first of my long series of stories dealing with that shadowy and mysterious world of diplomacy." Thereafter he became a prolific writer and by 1900 he had had 14 novels published. While on a business trip to the United States in 1890 he met and married Elise Clara Hopkins of Boston and, on return to England, they lived in Evington, Leicestershire until the First World War, and had one daughter. His wife remained faithful to him throughout his life despite his frequent and highly publicised affairs, which often took place abroad and aboard his luxury yacht. During World War I he was one of the remarkable group of writers (Thomas Hardy, H.G. Wells, Arthur Conan Doyle, G.K. Chesterton) recruited by Charles Masterman to contribute to the Allied propaganda effort. He wrote 116 novels, mainly of the suspense and international intrigue type, but including romances, comedies, and parables of everyday life, and 39 volumes of short stories, all of which earned him vast sums of money. He also wrote five novels under the pseudonym Anthony Partridge and a volume of autobiography, 'The Pool of Memory' in 1939. He is generally regarded as the earliest writer of spy fiction as we know it today, and invented the 'Rogue Male' school of adventure thrillers that was later exploited by John Buchan and Geoffrey Household. E. Phillips Oppenheim is pretty much forgotten today, but he was an immensely popular figure in his day. 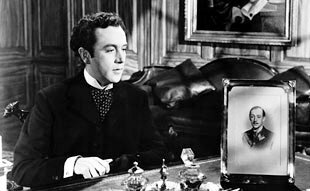 His most popular novel, The Great Impersonation (1920) sold over a million copies and his IMDB profile lists 43 films made from his work. 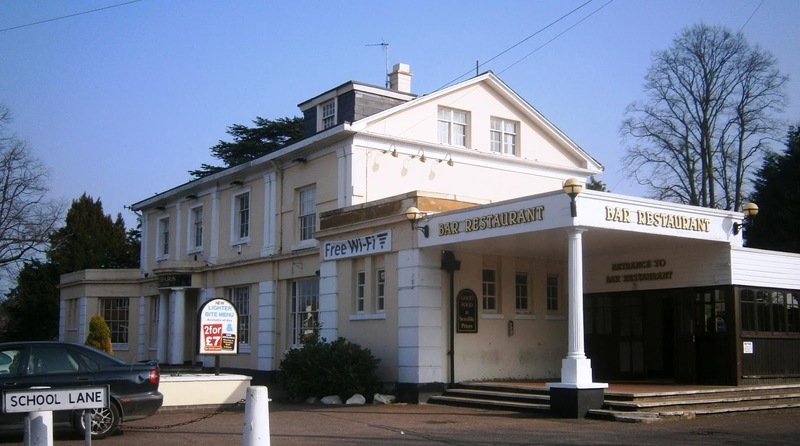 The picture above shows The Cedars in Evington (now a pub and just up the road from the village's Baptist Chapel) when Oppenheim lived between 1897 and 1905. After that, like man a prosperous Leicester businessman since, he moved to Sheringham on the North Norfolk coast. You may recall the furore over the former Haute de la Garenne children's home on Jersey in 2008. The cellar and grounds were excavated amid stories that children had been murdered and buried there. When bodies refused to emerge, the press loss interest and decided that the stories of abuse were without foundation. Around 90 people who were sexually and physically abused by their carers in Jersey children's homes will receive compensation of up to £60,000 after the government in St Helier offered an "unreserved apology" to the victims. Announcing the launch of a "historic abuse redress scheme" on Thursday, Jersey's chief minister, Ian Gorst, acknowledged "that the care system that operated historically in the island of Jersey failed some children in the states' residential care in a serious way". At least 43 of the victims set to receive compensation were mistreated at the Haut de la Garenne care home. One more disturbing question presents itself in the light of the child abuse scandal: just why, on a such a small and supposedly idyllic island, did so many hundreds of children end up in care homes? The answer lies in another little-publicised fact about Jersey - its unexpectedly high level of poverty, which brings with it the sort of social problems that lead to children being taken into care. Although Jersey, with its £250 billion financial industry, has the second-highest gross domestic product per capita in Europe, the island's wealth is largely held by the privileged few. Some 13,000 people - more than one in seven - live in social rental properties, Jersey's equivalent of council houses, and half of all households suffer from one or more of the internationally recognised measures for relative poverty. The crumbling 1960s council estates of St Helier are testament to the years of neglect. Rusting cars rot on rubbish-strewn drives, windows have bedsheets for curtains and the paint is peeling off walls and doorframes. "This place is run by the finance industry for the finance industry," says one resident. "Anyone else just doesn't count." Mark Pack has an article on Liberal Democrat Voice about the strange behaviour of Ian Liddell-Grainger, the Conservative MP for Bridgwater. Read it and you will learn that Mr Liddell-Grainger appears to have a cavalier attitude to data protection and to be a little confused about who is paying the cost of hosting his blog. Which makes the following a little worrying. Iain Liddell-Grainger, says his Wikipedia entry, is the great-great-great grandson of Queen Victoria and is 339th in the line of succession to the British Throne. So it would take only 338 unfortunate accidents for him to become our king. I did blog about Liddell-Grainger's royal connections back in 2007. In those days he was only 314th in the line of succession, so the danger of our having King Ian has receded. Nevertheless, I feel it would be unwise to drop our guard. Earlier this evening Leicester City Council voted through a backdated pay increase for the city's Mayor, Deputy Mayor and five Assistant Mayors. This is a crass decision at a time when so many people are facing pay freezes. Clearly, as far as the Leicester Labour Party is concerned, we are not all in this together. But there is more to this story than a few local politicians doing themselves well from the public purse. Because what this evening's events really displays are the dangers of the mayoral system in local government. The committee system of local government, with wards small enough for personal contact still to be a key aspect of winning, and offering a career path into politics to those who don't have the fortune to run a city-wide campaign, is a glorious part of Britain's democratic heritage. Your claim that all power in the hands of one person is more effective than power shared by representatives of various opinions echoes the line used in the last century in favour of a similar system of governance, though at a national rather than local level, that it "makes the trains run on time". Supporters of the mayoral system will argue that it is democratic because the mayor is elected by the voters and then held to account by elected councillors. But the way the system has been implemented in Leicester means that the Mayor is barely held to account at all. Leicester's mayoral system was brought in without the usual referendum by the then Labour-controlled council. The first mayoral election was held last year, at the same time as the scheduled all-out election for the council. No doubt the party's leading lights were attracted by the idea of holding both elections at at time when the Coalition had been in power for a year and was becoming less popular. So successful was their plan that Sir Peter Soulsby, the Labour candidate, was elected as Mayor and the party also won 52 of the city's 54 council seats. But can a mayor be held to account in a one-party state? Tonight's events suggest not. The vote on the Mayor, Deputy Mayor and Assistant Mayors' pay was a whipped vote and, though it appears that some Labour councillors were unhappy with the idea of pay rises and backdating, they voted for the motion as they had been told. And who is ultimately in charge of the Labour whip? Step forward Sir Peter Soulsby. It is easy - and right - to be critical of the Labour councillors tonight. But the more important lesson of this affair is that no mayor should be allowed to operate in a one-party state as Sir Peter does in Leicester. When the Greater London Authority was established, the MLAs were elected by a proportional system to make sure that no one party could dominate the assembly and that there were several parties represented. I am a Liberal Democrat and would like to see PR used for every council. Such as system would have given Labour a thumping majority in Leicester last year, but nothing like the farcical balance the council now enjoys. But if we cannot have that then at the very least council must be prevented from holding all-out elections and mayoral elections at the same time. The existing ruling party will only ever do this if it thinks it will be to its electoral advantage, so allowing this gives it far too much power. This is an important point and, given that David Cameron seems to have inherited Tony Blair's love of elected mayors, it is one that needs to be made loud and often. Last week I blogged about some new Canadian research on the prevalence of ADHD and also linked to a 2003 article of mine about the condition from OpenMind. This animation of a talk given at the RSA by Sir Ken Robinson shares my analysis of the reasons for the remarkable increase in the diagnosis of ADHD and has many wise and interesting things to say about education too. I have to confess that I find the row over the imposition of pasties funny. And if you don't want to pay extra for a Cornish delicacy, why not enjoy a Leicestershire one instead? Let's hear it for the Melton Mowbray pork pie. David Cameron's ... problem is that he is, er, David Cameron. The only time he threatened to engage public interest today was when he talked of the price of bread, milk and eggs. Yet if ever someone gave the impression of not knowing how much bread, milk and eggs cost, that person is David Cameron. I always wondered, in a society where being "posh" is just about the worst sin out, if David Cameron's background - and even more the fact that he looks like a public school boy - would count against him. This is one issue where it will. If you want to run this sort of prices campaign, you need someone who looks as they go shopping regularly to do it for you. Shirley Williams used to do it very effectively, complete with shopping basket, in her Labour days. You do not choose a shiny-cheeked Old Etonian. My younger readers won't recall this, but in the 1970s "prices" were one of the great political issues. The economic downturn may mean we are about to explore a political landscape where the price of pasties really matters to voters. 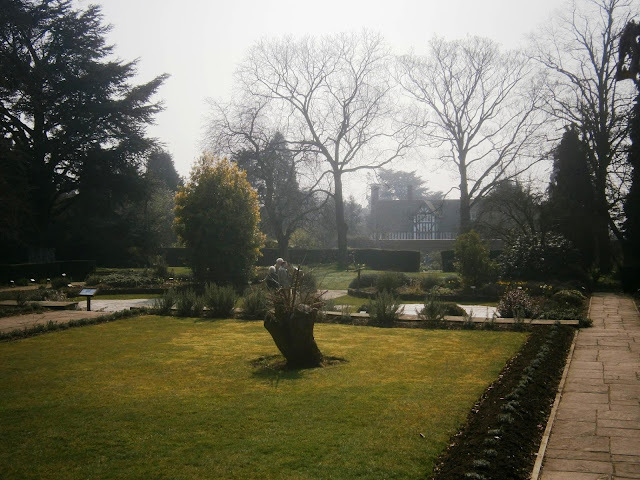 The University of Leicester Botanic Garden is signposted from the roundabout near the city's racecourse. 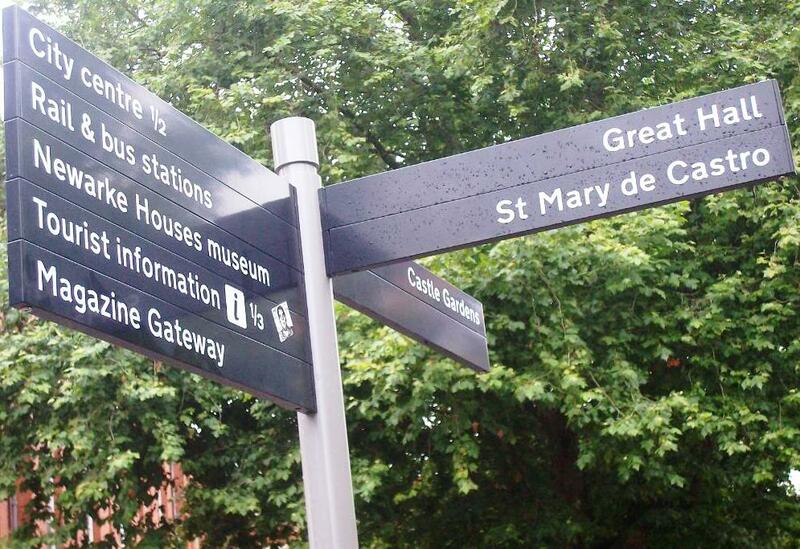 I have seen that signpost regularly for almost 40 years, but only on Saturday did I visit the gardens. Despite the summery weather, it was too early in the year to see them at their best, but they will clearly be worth a return visit in a month or two. There are extensive gardens, glasshouses - including one full of cacti and succulents that reminded me of the early career of our deputy prime minister - and three opulent Edwardian houses now used as university halls of residence. 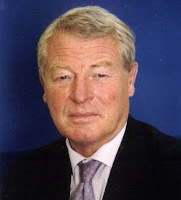 The Worcester Libertarian heard Paddy Ashdown speak about his life at Malvern Theatres last October. He has just posted an account of the evening. America's 'War on Drugs' has created a massive racial caste system, argues Michelle Alexander on AlterNet. "Research has shown that ‘fear of crime’ affects urban walkability, but now a new project has shown that the reverse may also be true: that improving the walkability of a street can reduce the number of crimes in an area." Sustainable Cities Collective on the Rotterdam experience. The Week offers five reasons why child beauty pageants are a bad idea. Siba the Hat gives some tips on long-distance trail walking. "My shelves are empty. The half-dozen Billy Bookcases I bought from Ikea are now little more than scrap. I have burned my books. A bonfire of ideas and ideals." Terence Eden blogs about his decision to go over to eBooks. You can watch the video on the BBC website. Thank you to Silvia Knobloch-Westerwick, Associate Professor of Communication at Ohio State University, for cheering a long working day. Nora Logan was one of a group of wealthy antivivisectionists who grew old together in a mansion flat overlooking Regents Park Zoo. Nora and her eldest sister, Isobel, were militant suffragettes, and both were imprisoned for refusing to pay a fine for smashing windows writes Nina Boyd. And it seems that Isobel was a more significant suffragette than Nora among the daughters of my hero J.W. Logan. She cut quite a dash when she attended suffrage meetings in a motor car, however soon after joining the WSPU in 1909 she took employment as a bookbinder. In June 1909, she was among 27 women who were arrested following a deputation to Parliament when windows were smashed in Whitehall and Downing Street. Rather than pay a fine, she opted to go prison. And you can read a contemporary account of her arrest in the New York Times. David Parsons, the Conservative Leader of Leicestershire County Council, will face a vote of no confidence at special meeting on 18 April. This follows the revelation that he has cost taxpayers more than £1m in expenses and allowances over the past five years. The reputation of the council is at stake and we've got to the stage where a public debate is needed about the leader's future. "The uncertainty surrounding the leader's position is starting to impact on the day-to-day business of the council. "When you sit down with a senior officer to discuss an issue the first thing they want to know is what's going to happen to David Parsons." "This is a political stunt. The Conservative group will unite and I think I will remain as leader." Given that there were calls from Parsons' fellow Tories for him to go last month after earlier allegations of irregularities over his expenses, I do not fancy his chances of surviving. 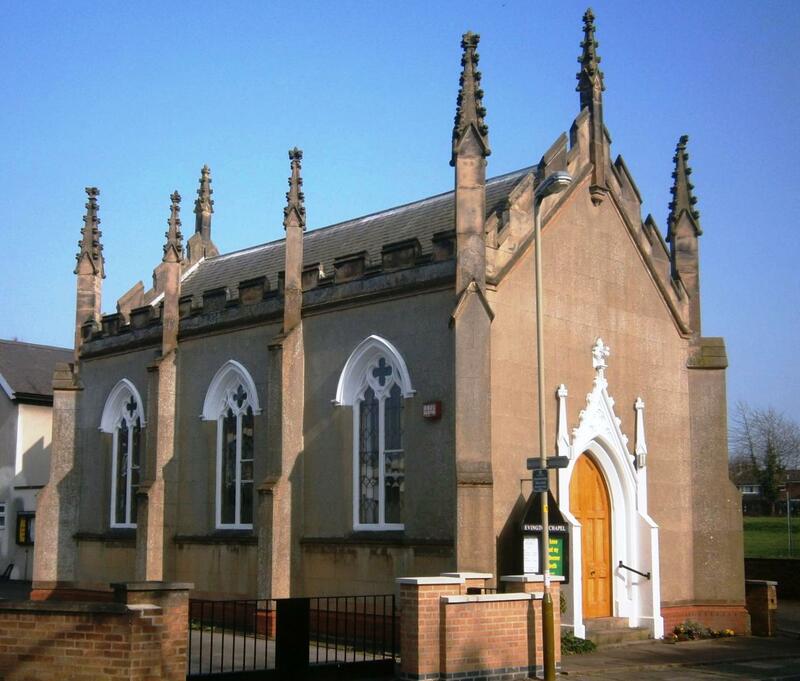 This the Baptist Chapel in Evington, a village long since absorbed into Leicester. It was built in 1837 and its Gothic style though fashionable for the period, is unusual in a place of Nonconformist worship. 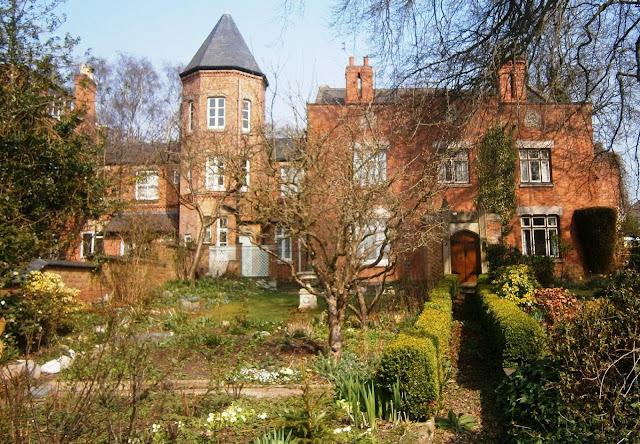 The Illustrated History of Leicester's Suburbs by Christine Jordan suggests that this style is accounted for by the fact that the Baptists formed a breakaway movement from the parish church but continued to use a similar form of worship. A neighbouring manse of the same date was lost to a road-widening scheme in the 1960s. Welcome to the March edition of the Mental Health Carnival. This monthly round up of blog posts was devised by Carol from Dance Without Sleeping and his hosted by a different blogger each times. Already for this year, you can find the February edition on Mrs Shorties Mind and the January edition on In a Bun Dance. You see a large part of my problem is social anxiety, an inability to deal with day to day interactions. So on days when I can’t face talking to the woman on the till in Sainsburys or picking up the phone, even to my best friend, being able to merrily chat to people makes it all the easier to feel normal and connected with the rest of the normal world. After years of facing my own bleak outcomes, I did occasionally trick myself into believing I had finally beaten my own black dogs when my levels of anxiety might drop significantly for a brief period. But in hindsight, I now realise that it was all relative. To say that I was feeling better would not be as accurate as to say I was just feeling less crap. I hadn’t beaten my black dogs; they just weren’t growling as hard for a while. Charting moods has a lot of benefits, and the only real downfall is time. That said, I probably only spend about 5 minutes per day on my mood chart, and I have a set time that I work on it every day so that I remember. That few minutes has taught me a lot about my symptoms and recognizing when my mood shifts, so it definitely feels worth it in the long run! My head pounds and my mouth goes dry. Until the next time it appears. This post contains frank comments concerning the effects of sexual abuse. Please be aware that you may find some parts of this post upsetting to read. I know that there are many different types of abuse, all of which are distressing and traumatic for the victims, but I have chosen to write specifically about sexual abuse, for reasons which will become clear if you choose to read on. The home page for the Mental Health Carnival tells us that the April edition will be hosted by Slummy Single Mummy and the May edition by Touch & Tickle. I look forward to reading both. I once said that I should like to hear Tim Farron make an unpopular speech. Well, judging by my Twitter stream this evening, he has at least signed an unpopular letter. Together with his fellow officers of the group Christians in Parliament, Tim has signed a letter to Lord Smith of Finsbury, the Chairman of the Advertising Standards Agency. It wants the Agency to overturn its ban on Christian groups trying to recruit new members by claiming that God can heal. Religious faith is important to many people in the Liberal Democrats and in politics generally. It is certainly important to Tim Farron - just look at his choice of most and least favourite books for Total Politics from 2009, which have been preserved for posterity by Lib Dem Voice. And I blogged recently about my feeling that proselytising atheists are as irritating as their Christian counterparts and in much the same way. But with all those caveats entered, it has to be admitted that this is a pretty dreadful letter. And it is dreadful because it makes God look silly. The picture of the Almighty that emerges of it is of someone who is obsessed with celebrity - why is a Premiership footballer more deserving of healing and anyone else. The letter makes Gary Streeter look even sillier than God. I would be interested to know why Streeter thinks God healed him while ignoring the prayers of those whose loved ones die in agony. I am not an expert at religion, being a High Church atheist myself, but I suspect a letter that makes God look morally capricious and obsessed with celebrity is bad theology. This is part 1 of a promotional film made for the Locomotive and Allied Manufacturers' Association of Great Britain in 1959. As Tim Hall said when alerting us to this film on Twitter, most of the locomotives shown would be scrapped within a decade. The good news, if you enjoyed this film, is that you can view part 2 too. The Herald publishes the full text of the Scottish Criminal Cases Review Commission's report on the conviction for the Lockerbie bombing of Abdelbaset Ali Mohmed al Megrahi. It concludes that there may have been a miscarriage of justice and referred the case to the High Court. A good article on the case is The Framing of al-Megrahi by Gareth Pierce from the London Review of Books in 2009. 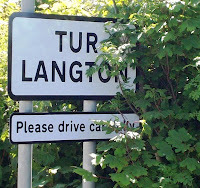 The dispute between the people of Tur Langton and Merton College, Oxford, over the future of the village's hall has made The Oxford Student. This is a weekly newspaper produced by and for members of the University of Oxford. And the students have managed to get a quote from the college authorities, which is more than the papers around here were able to do. 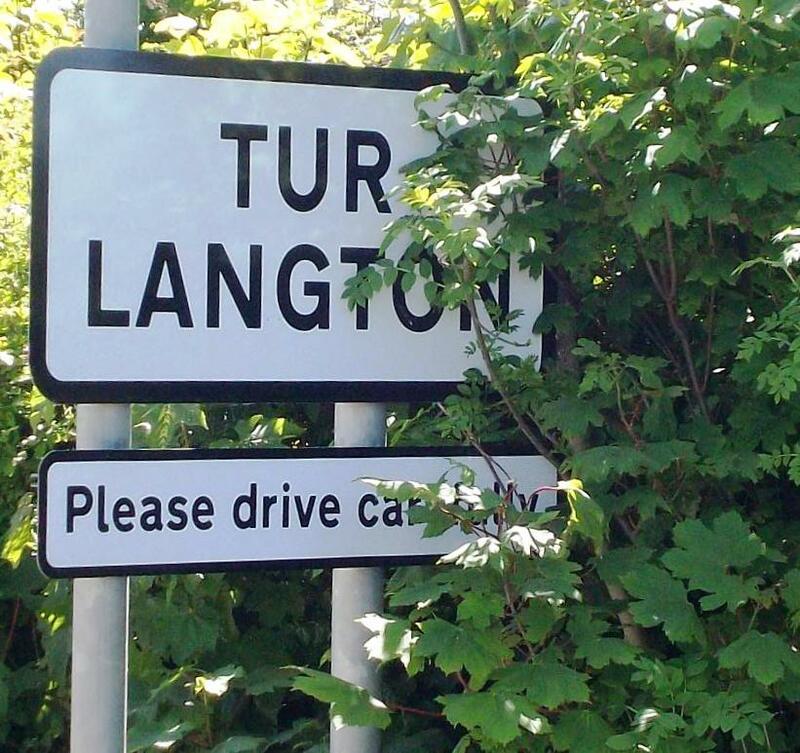 "Merton College are in discussions with the Tur Langton Parish Council about the future of the village hall following the expiry of the lease in 2010. 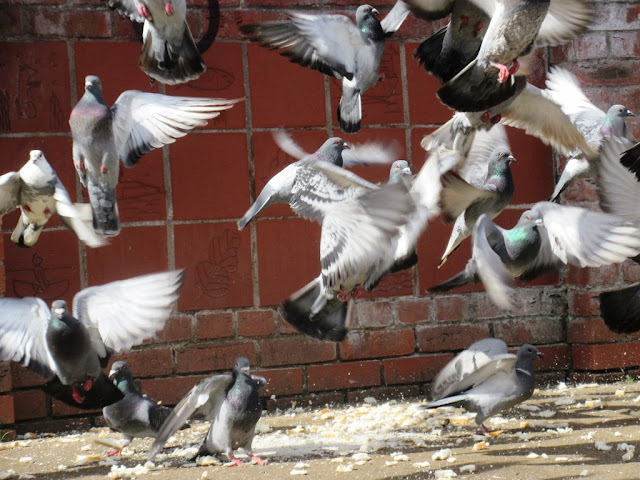 "Several options have been considered including providing facilities elsewhere in the village. The discussions are ongoing." As today is my birthday - all 23 hours of it - I am allowed to choose a Spencer Davis Group track as my Sunday music video. Here, as with Georgia On My Mind, you wonder how a skinny, middle-class teenager from Birmingham came to sing like this. It is almost more of a Ray Charles impersonation than a performance. I have read an interview with Steve Winwood's older brother Muff where he says that Steve discovered Ray Charles just as his voice was breaking and somehow moulded it to sound like his hero. The effect can be disconcerting. When Winwood performs Nobody Knows You When You're Down And Out in the group's ill-advised film The Ghost Goes Gear, he is no doubt miming to his own performance. But it looks as though he is miming to someone else's performance. Yet I think Winwood's performance here is brilliant, as is his organ playing - it is even better on Georgia On My Mind. And then listen to his guitar playing in the same concert on Dust My Blues. But you can see why he tired of the Spencer Davis Group, because for the most part they were producing excellent copies of Black American records. He wanted to be more creative than that, so he left to form Traffic. If you listen to Heaven is in Your Mind, the opening track on Traffic's first LP, it is fresh and new and very 1967. And Steve Winwood sounds decades, not years, younger than he does on Together Till the End of Time. "When Mr Osborne sat down yesterday, he had pulled off quite a political coup – winning huge cheers from both Lib Dems and Conservatives, while leaving Labour looking wrong-footed and irrelevant." David Laws writes about the Budget for the Daily Telegraph. Greg Mulholland, Lib Dem MP for Leeds North West, has tabled a parliamentary motion calling on the government to address the awarding of unwarranted bonuses and financial rewards in the pubs industry. A noisy demonstration frightened constituents away from an advice surgery, complains John Hemming (Lib Dem MP for Birmingham Yardley). Amy Goodman on TruthDig writes about the killing of Trayvon Martin. Lawyers' Secular Society offers a history of secularism in the UK. "Playing Martin Bashir to Amir’s Diana, Atherton’s questioning of the young bowler constituted less a searching cross-examination than a series of gentle prompts to allow Amir to tell his story in what turned out to resemble a soft-soap PR exercise designed specifically to aid in the young bowler’s rehabilitation." Leg Side Filth questions Michael Atherton's willingness to see the best in his interviewee Mohammad Amir, the Pakistani cricketer banned from the game for spot-fixing. I went back to the London Road in Leicester today, exploring what From Tollgate to Tramshed calls The Portland Enclave. This is a collection of houses from the mid 19th century, most of which are reached along a private road. Portland Towers and its flanking terraces Portland Cottages and Knighton Cottages, rambling red brick buildings in a Tudor style, are the most interesting of these. The private road takes you to the back of the properties, where I met the man who maintains the flats that now occupy these buildings. As he said they are far more impressive when viewed from the front, as in this photograph. The path you see runs up to the front door of Portland Cottages, while the tower you see belongs to Portland Towers. As the name suggests, there is a second tower and beyond that are Knighton Cottages. Like every second building in this part of the city, it was at one time home to a small private school. By 1897 Portland Towers was the home of the Oppenheim family. Edward Phillips Oppenheim did not enjoy working in his father's leather business and spent his evenings writing stories. Though he is forgotten today, he was an extremely popular writer in his day. I came across E. Phillips Oppenheim again later on this afternoon, so more about him another day. This is a final call for nominations for the March Mental Health Carnival. If you would like to see a post from your own blog included, please send me an email by 7.00 p.m. on Monday (26 March). I think it’s really important to share our mental health experiences so that 1) people know they are not alone and 2) people understand what it’s like to experience mental health issues. It’s not all hearing voices in your head and covering things in tin foil! Mental health issues are complex and not always easy to talk about. It can be hard to explain to people that have not experienced it what it’s like. So I decided to hold a little carnival to give others a chance to share their stories. I have written in the past about the discovery that Nora Logan, the daughter of the Liberal MP for Harborough J.W. Logan, was a suffragette who went to prison for her beliefs. Recently I heard from a writer called Nina Boyd who is researching a group of wealthy ladies who were committed antivivisectionists, one of them Nora Logan. On the night of the census, Nora is staying as a guest with Dorothy E. Bracewell at College Farm, Tempsford near Sandy in Bedfordshire. The details given are sketchy: their ages are "about 45" and "about 30", their places of birth "N/K", and their occupations given as "Suffragette". Dorothy has written a signed message on a separate sheet which consists of the single word "Voteless". It was a small protest, but it shows how committed Nora Logan was to the suffragist cause. If any reader comes across a reference to Nora Logan, both Nina and I would love to know about it. You can find this review in today's Liberal Democrat News. Designed by the great Victorian architect Alfred Waterhouse and opened in 1887, the National Liberal Club is a work of art in itself. Gothic towers and pinnacles pierce the Whitehall sky: its wine cellar is formed from the remains of an attempt to build a railway under the Thames to Waterloo. Between them are to be found portraits, busts and engravings that tell the story of the Club, of the Liberal Party and of British political radicalism in general. This elegant illustrated booklet by Michael Meadowcroft, the Club’s honorary librarian and a former MP for Leeds West, makes a fitting celebration of this collection. It is an expanded edition of one written by Veronica Herrington in 1997, and its indexes of artists and sitters make it easy to use. My only criticism is that the illustrations are not captioned. But the collection is not confined to Liberal leaders or even to Liberal members. There are portraits of radicals, such as William Cobbett and George Holyoake, who were never part of mainstream Liberalism but with whom the Club and its members were clearly in sympathy. Perhaps high portraiture is less to modern taste, and in many ways the best painting in the book is a less formal study of Charles Bradlaugh, the atheist MP for Northampton, by Walter Sickert. Paul Temple’s recent painting of Sir Cyril Smith gets beyond its subject’s bulk to find his character and there is a stunning portrait of the young Violet Bonham-Carter by Sir William Orpen, though this turns out to be a modern copy. 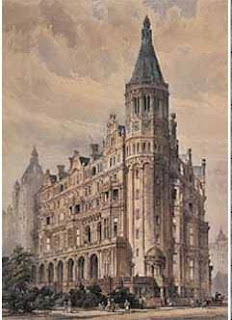 Through all these vicissitudes the National Liberal Club remained more than an art gallery: it functioned as an important hub for Liberalism when the party was at its lowest ebb. In 1948 Sir John Simon, an eminent National Liberal and former Chancellor of the Exchequer, was asked to resign after speaking for the Conservative candidate in a by-election. A further reminder of those days comes in the form of an illuminated address presented by the Club to Harry Willcock. Willcock, a Liberal parliamentary candidate, had refused to produce his identity card when stopped by the police in 1950. His actions led to abolition of identity cards two years later. This address may be the least important item in the collection from an artistic point of view, but it is priceless from a political one. Remember the row over the accreditation of delegates at last year's Liberal Democrat Autumn Conference? In blatant contradiction of the party's beliefs - remember Nick Clegg's vow that he would go to prison rather than carry an identity card? - those attending were required to supply their passport number. And in blatant contradiction of the party's constitution, the central bureaucracy awarded itself the right to vet local parties' choice of representatives. Some of us were outraged by these moves. I was even moved to write an article on the affair for the Guardian's Comment is Free website. Come the conference, a motion critical of the arrangements for accrediting delegates was passed. Those who opposed it relied upon two arguments. The first was that there were people out there who wished us harm. In view of all this, the Remote Controller column in the current Private Eye makes interesting reading. Much of it is concerned with the BBC1 series Crime and Punishment, which has boasted "exclusive behind-the-scenes footage of the policing of last year's Lib Dem conference". The Ministry of Justice is thanked in the credits and also seems to have written the scripts. "A strong message has been set out!" coos Louise [Minchin] as the top Brum coppers congratualate each other on preventing al-Qaeda from blowing up Cleggy and Cable. The argument that we should impose laws or taxes exist to 'send a message' seems to me pitifully weak. Only yesterday, I was complaining that both sides of the debate over the reduction of the 50p income tax rate were deploying it. Here I think the message sent was that Britain's most liberal political party would compromise its beliefs at the first hint of a terrorist threat. Al-Qaeda must have been hugging themselves with glee. Back in 2003 (before even Liberal England existed) I wrote an article for the mental health magazine OpenMind - Always on the Go - that was sceptical about the concept of 'attention deficit hyperactivity disorder' or ADHD. This is a supposed mental health condition characterised by such symptoms as failing to do homework, fidgeting and being ‘always on the go’. Department of Health figures show last year 661,500 prescriptions were written out for Ritalin and similar drugs such as Concerta – up from 382,000 in 2005. Let's think of an experiment. If my sceptical view of ADHD - that the behaviours that constitute its symptoms are better regarded as childish (or boyish) high spirits and naughtiness, and that it is social change over recent decades that has rendered them problematic - is correct, what would you expect if you compared the oldest and youngest children in the same school year? I think you would expect the youngest children to be diagnosed with ADHD more often than the older children. And that is precisely what a major new study from Canada has found. University of British Columbia researchers focused on 937,943 students who were six to 12 years old between Dec. 1, 1997, and Nov. 30, 2008 in a province where the cutoff age for entry to school is Dec. 31. The study, published in Monday's Canadian Medical Association Journal, found children born in December were 39 per cent more likely to be diagnosed and 48 per cent more likely to be treated with medication for ADHD, compared to children with a January birthday. As a good Popperian I shall not claim that this proves I am right. But I can claim that an important test has failed to refute my hypothesis. Certainly, the size of the sample in this study is impressive. It may be that ADHD is represents a coherent concept. It my be that the condition is caused by an as-yet-undiscovered abnormality of the brain. And it may be that this abnormality, for some unknown reason, is more common in children born in December than children born in January. But I think Occam's razor suggests that the burden of proof is on those who uphold the concept of ADHD. There's plenty to beat the Lib Dems up over, but there's plenty of good coming out of the Coalition too, argues Neue Politik. 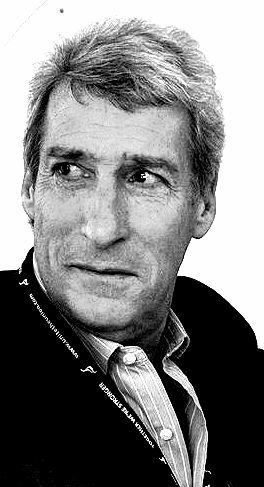 "Paxman is typically aggressive, provocative and rude. Sometimes smugly and smilingly condescending. And he almost always falls back on a small repertoire of tricks, such as 'How can you say that when... [Report X has said something different]? ', 'Oh come off it! ', 'Do you agree with [ally Y] when he says...? ', 'Which is it: Yes or no?'" Hoping for More than Slogans has had enough of Newsnight. And so have I. Writing for Reuters, Chris Vellacott looks at social change in London: "Economists are starting to warn of the dangers of displacing the middle classes and exaggerating a broader trend of rising inequality by importing more plutocrats." Perdido Street School has been inspired by attending a Left Forum event called "The Luddites, Without Condescension" and has some interesting things to say about technology in the classroom. The rise of the empowered employee is celebrated by Yammer. Transpontine has turned up a shocking and unexpected event from history: a man shoots and kills his ex-fiancée at Nunhead railway station in March 1924. 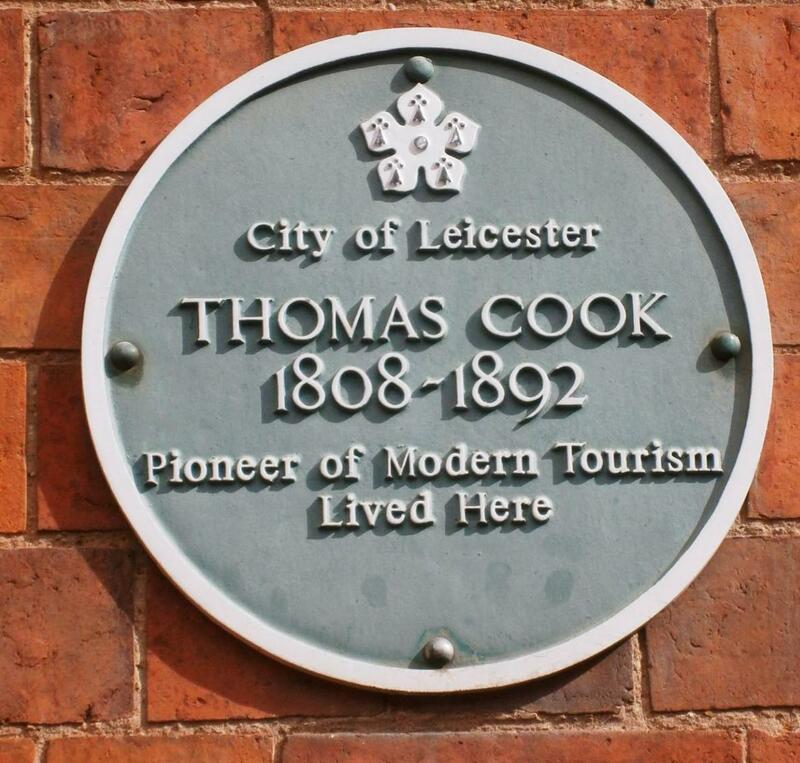 We have seen the statue of Thomas Cook near Leicester station and the plaques to him in Market Harborough and Kibworth. 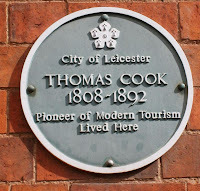 Since then a reader has told me of another plaque in Barrowden in Rutland, and there is a significant building in Leicester with Cook connections that is under threat. I shall show you that one day soon. In the mean time, here is Thorncroft, the house in London Road, Leicester, where Thomas Cook lived with his wife Marianne towards the end of his life. It is now the headquarters of the county's Red Cross. Given how little room for manoeuvre the state of the public finances allows the Coalition (and would have allowed any government that emerged from the last election), this has been a surprisingly radical budget. Increasing the personal allowance to £9,205 takes the Liberal Democrats close to their pledge of ensuring that no one pays tax on the first £10,000 they earn. Just the changes in today's Budget will mean a basic rate taxpayer will be paying £45 a month less in tax than they would have under Labour. I am pleased by this. One of the problems with Labour governments is that, despite the rhetoric, it proves stubbornly difficult to tax the rich, with the result that those governments end up asking more of average taxpayers than they are able, or at least willing, to pay. Others in the party may be less pleased. The idea of cutting tax for less well paid workers has risen to the top of the Liberal Democrat budget so quickly that it is easy to forget that many activists (and councillors and MPs) joined the party because they wanted to see public spending increase. Much as I support it, I am surprised that the tax-cutting agenda has not been questioned more strongly. The other great talking point of the day is the reduction of the 50p income tax rate for higher earners to 45p. Both those who support the 50p rate (e.g. Joe Jordan on Lib Dem Voice) and those who oppose it (e.g. Tim Montgomerie on Conservative Home) tend to base their argument on 'sending a signal'. This is surely wrong. The question should be settled on how efficient the 50p rate is at raising revenue and (if that is your ambition for it) making society more equal. That is a question to be settled by investigation and analysis: it should not a matter of faith. I am told that cutting the 50p rate was the Conservatives' chief demand from the budget - which perhaps tells you all you need know about the Conservatives. In return for allowing them this, the Liberal Democrats can point to a bundle of measures against tax avoidance that, it is claimed, will bring in five times more than the tax cut has saved. George Osborne would probably have brought in some of those measures in any case, but what is more significant is that the tax has been reduced only to 45p. There is 5p still to come, and there is hope that in return for granting that the Lib Dems will be able to secure a mansion tax or at least some moves in that direction. I have just taken part in a telephone briefing with a party insider, and the most interesting part of the discussion was the observation that there are significant figures in the Conservative party who would support the idea of taxing property more and income less. You can see them as Tory entrepreneurs, battling with Tory grandees. If it encourages the Lib Dems to find common ground with the entrepreneurial wing of the Conservatives, today's budget could prove significant indeed. A controversial plan for 900 homes on land neighbouring Coate Water has been given the green light by a Government inspector. The proposal by Persimmon Homes and Redrow Homes to develop land at Commonhead, off Marlborough Road, was rejected by Swindon Council’s planning committee last year, and more than 50,000 people signed a petition resisting the outline application. But now the Planning Inspectorate has said the development, which includes 890 homes, a village centre and a primary school, can go ahead. 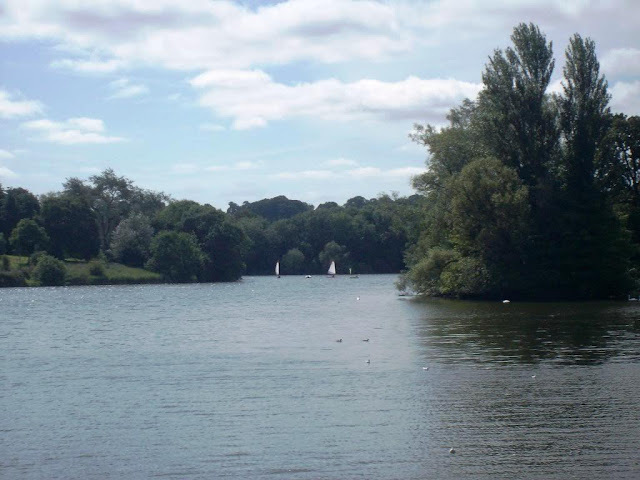 You may say I am biased, because the area around Coate Water is the landscape associated with the Richard Jefferies, the 19th-century essayist and novelist about whom I wrote my Masters dissertation. But my opposition to this development stems from Swindon's present-day needs too. I spent a few days in the town in the summer of 2009 and found it an extraordinary place. The centre was not there, Where it should have been were vacant plots shuttered off by hoardings. Here and there rusty buddleia spikes poked over the top. Notices told you what was demolished to clear the sites – here the town’s police station, there its post office –and an artist has decorated the hoardings with fragments of Swindon’s history and with letter professing love for the town from remarkably forgiving schoolchildren. I gather that the regeneration company charged with redeveloping the town centre had gone bust halfway through the process. It's like the trick with the watch, the handkerchief and the hammer: it's much more impressive if you finish it by restoring the intact watch to its owner. Meanwhile, the suburbs of Swindon were spreading at alarming speed. Through Twitter I had been invited to lunch by friends who lived in a village that, for the time being, was just outside the town. I armed myself with the latest street map that W.H. Smith's could furnish and followed my bus journey. Roundabouts that were little more than tight buds on the map had grown limbs in the form of streets with names and houses, but I was doing OK until the bus gathered itself and then sprang across a bridge that should not have been there. If ever a town needed some open country near its centre it is Swindon. The Advertiser quotes the council's Labour leader as saying that it would not have been able to resist development at Coate for ever. But why was the area ever earmarked for housebuilding in the council’s draft Core Strategy? Meanwhile the developer pratttles that his "New Heritage Collection of detached family homes will be a real asset to the Swindon area," and the heart sinks. We saw on Friday that David Parsons, the Conservative leader of Leicestershire County Council, was under pressure to resign after the revelation that he had cost taxpayers more than £1m in expenses and allowances over the past five years. The latest news is that Parsons has announced that he is giving up his chauffeur-driven car, but this has not stopped a Labour councillor calling for an extraordinary meeting or the leader of the Lib Dem county group Simon Galton backing his call. But it turns out all this is old news. Because the Liberal Democrats have been on Parsons' case since 2009. Conservative bosses on Leicestershire County Council have come under fire after official figures reveal they spend nearly £20,000 per year on providing a chauffeur driven limousine for the Tory Leader. County Hall also spends a staggering £245,000 on public relations each year. Chairman of the local Lib Dems Cllr Stuart Bray said, “Since the Conservatives took over the County Council in 2001, the average Council Tax bill has gone up by over £235. We believe it is scandalous that the Conservatives waste public money in this way. 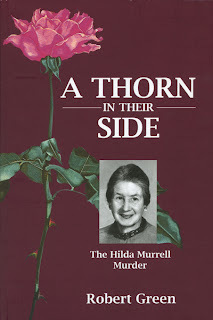 In October of last year I blogged that Rob Green had written a book about the murder of his aunt Hilda Murrell. I suspect the book was available only in New Zealand then, but A Thorn in Their Side has now been published in Britain. On Sunday the Observer reported that Michael Mansfield has "demanded a fresh police inquiry to establish what the British intelligence services knew about the murder of a prominent anti-nuclear campaigner". In the official version of her murder, Murrell was the victim of a demeaning and callous assault, abduction and murder by a young adolescent, on his own, without obvious motivation. The police version of the sequence of events is bizarre. 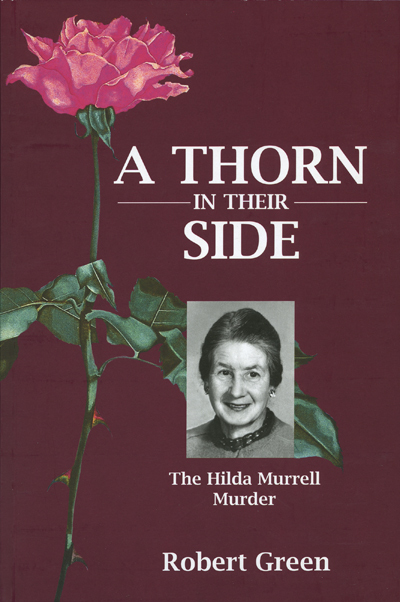 On one and the same day, Hilda - having been assaulted in her home - is forced into her own car, driven through Shrewsbury in broad daylight past the police station and a number of witnesses, to a country lane some miles away. The car crashes into a verge with the driver's door jammed. The driver then exits via the passenger seat and takes Hilda with him, but not before she has retrieved the car keys and put them in her pocket. He assaults her again in a field, where she loses her hat and spectacles. She is then either dragged or pushed across a ploughed field over a fence into a copse where she is stabbed,although not fatally, and left to die of hypothermia. Her body was not found for two days. While DNA from the convicted man shows he was in Hilda's house, there are a huge number of other evidential matters that Rob Green has assembled which challenge the manner of this killing. Although many of them are not new, most have not been assembled in an intelligible format until now, and some have never been presented in court proceedings. He concludes that until an independent inquiry takes place, the reader must be the judge. My explorations on Saturday were inspired and guided by From Tollgate to Tramshed, which is a history of Leicester's London Road from 1860 to 1920. But one of the buildings I was most taken with falls outside this period. 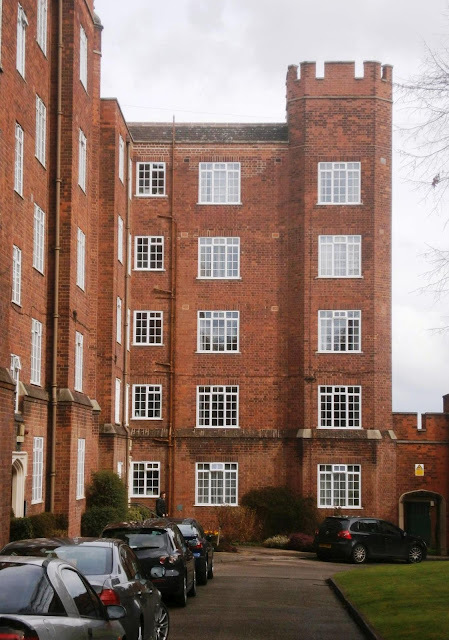 Stoneygate Court flats were put up by the Norwich Union in 1931. There are several substantial red-brick blocks, all in this baronial, almost military, style - again I am reminded of Hampstead or some other pleasant London suburb. During World War II the flats housed the medical centre of the Auxiliary Territorial Service. From Tollgate to Tramshed is, understandably, stronger of the site's history before Stoneygate Court was built. It was home to a large house called The Shrubbery ("Ni!") and its extensive gardens. Two people interviewed for the book spoke of a hoodoo or curse on the house "where rich people lost money and there was a shooting incident". Scotland's path to independence could become far rockier and more complicated than Alex Salmond might like, if the equally independent-spirited northern isles of Shetland and Orkney get their way. That, at least, is the view of their respective Lib Dem MSPs Tavish Scott and Liam McArthur. In a paper submitted to the UK government's consultation on the independence referendum, the pair have provocatively suggested that the two island groups' willingness to stay within an independent Scotland cannot be taken as given. Nor, if it comes to that, does ownership of "their" oil, which, by one measure, includes a quarter of the oil and gas wealth being claimed as Scottish by Salmond's nationalist government. The post goes on to point out, the notion that the former Viking earldoms of Shetland and Orkney have their own, distinct views on self-determination and identity is a long-standing one. Many islanders don't regard themselves as Scots at all and are openly hostile to Edinburgh rule. "The last thing the Northern Isles want is to be ruled by Glasgow trade unionists and Edinburgh lawyers." When I interviewed Tavish Scott, who was then the leader of the Scottish Liberal Democrats, during the Lib Dem bloggers' unconference in Edinburgh in November 2009, I was struck by his "contempt of Scottish Nationalism in general and Alex Salmond in particular". Clearly, Scottish identity is a more complex matter than Salmond likes to pretend. One of the least creditable episodes of the last parliament was the arrest of the shadow minister Damian Green and the subsequent search of his office in the Palace of Westminster. A reminder that our liberties are not safe with Labour. There are plenty of countries where opposition politicians do fear arrest, but we do not want Britain to be one of them. I am already receiving nomination of posts for the March Mental Health Carnival. If you would like to see a post from your own blog included, please send me an email. The next Mental Health Carnival will be posted here on Liberal England on Monday 26 March. It's not that this is a very good record: it's that it is far better than it needed to be. David Essex had made his first record as a teenager in 1963, but 10 years later was better known as an actor, having appeared in Godspell in the West End and in the film That'll be the Day. Then in 1973 he suddenly emerged as a teenybopper idol - Britain's answer to David Cassidy, if not Donny Osmond. Given that Essex's popularity was based on his looks more than anything else, and that his audience spent most of its time screaming anyway, he could have given them any old rubbish. What they got was this strange deconstruction of a rock song, written by Essex himself. And his next single was Lamplight, with its odd jazzy feel. Later he did give us any old rubbish as singles: Hold me Close, for instance. Last year I was watching EastEnders. The voice of one of the characters was strangely familiar, but I couldn't place the face of the old geezer. Then I realised it was David Essex. My heart sank a little, but not as much as it did when I caught a glimpse of the test coverage when I was in the bar at Leicestershire's Grace Road ground and wondered who the old man on the screen was. The moral is that 1973 was a long time ago. Read the background to this protest on BBC News. "What can the Lib Dems learn from the NHS debacle?" asks Thinking Liberal. "There were some quite radical elements of official, conference approved policy (like abolishing Strategic Health Authorities), but little awareness amongst members of the implications of official policy. The original Bill was probably quite a well crafted compromise between our official policy and Andrew Lansley’s ideas (Paul Burstow certainly thought so). But as soon as the heat was applied, official Lib Dem policy counted for nothing – it had not been engrained on members’ and activists’ consciences." Jonathan Fryer celebrates multicultural London Liberal Democrats. 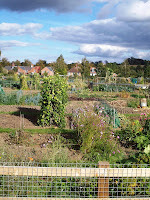 "Why have allotments become so trendy? Where did the idea come from that everyone could have a plot of land to grow their own food?" 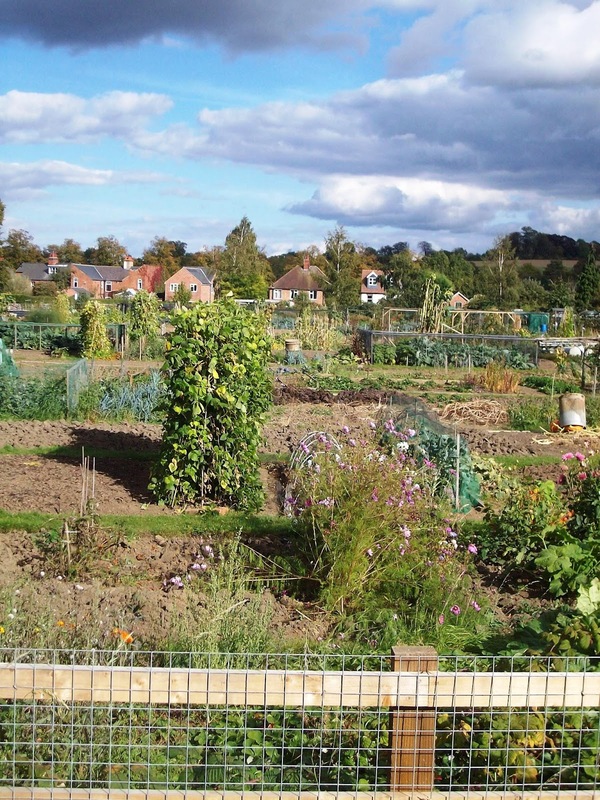 David Boyle has written a short ebook on the history of the allotments movement. Andy Boddington on 24dash is aghast at the Planning Inspectorate's decision to allow a windfarm next to Lyveden New Bield in Northamptonshire. "While Archbishop John Sentamu played to the crowd by cutting up his dog collar live on TV to show his anger at Mugabe's terror in Zimbabwe, Rowan Williams quietly travelled to Harare, met Mugabe and handed him a dossier of human rights abuses perpetrated by government thugs. Rowan preached in a packed football stadium, condemning Mugabe's murderous regime for what it is." The Church Mouse pays tribute to Rowan Williams. Wartime Housewife has a recipe for Staffordshire oatcakes - which are nothing like Scottish oatcakes: "One popular story suggests that they are a distant cousin of the flat breads of India and some claim that local soldiers took such a liking to flatbread so much that they tried to emulate them on their return to Staffordshire." Britain is an extremely centralised country. In the USA, Washington is the political capital, but the financial capitals are New York and Chicago. Germany has Berlin and Frankfurt. But in Britain everything is based in London and the South East of England, and regional variation of public-sector pay could make matters worse. At present, national pay scales act as a form of regional policy. The higher standard of living that workers enjoy in the regions counterbalances the fear that you may be out of the swing of the things there, and the result is that some people are happy to work outside London and the South East. If people in London are paid more, then this balance will be lost. There is likely to be a feeling that if you want to get on in the public sector then you have to be in London. So young people, at the time in their lives when they are most mobile, will want to live and work there. The danger is that the brightest and best will end up in London, earning more than their counterparts elsewhere. This will make the centralisation of Britain even worse. With its large Victorian houses and mature trees, Leicester's London Road is one of the most pleasant approaches to a city I know. Readers who know London might find it reminiscent of Hampstead. I have been exploring this part of Leicester today with the help of From Tollgate to Tramshed by Helen Boynton and Derek Seaton, which gives the history of London Road and its buildings from 1860-1920. The house in the picture above, Verecroft, is by no means one of the best houses I saw today, but in its history it is entirely typical of the area. It was built around 1870 as the home for a manufacturer involved in the clothing trade and was home to a succession of such people until World War II. In 1948 it became the home and surgery of a doctor, and that practice was later taken by his son. 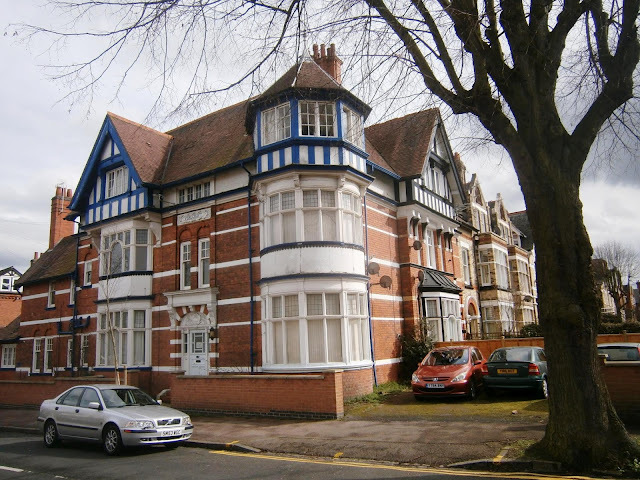 Later the house became a private school, then a day nursery and was finally turned into flats in 1995. Some of the houses detailed in From Tollgate to Tramshed were demolished decades ago and in a few cases the authors have not even been able to locate a photograph of them. A reminder that there are good reasons for taking photographs of even the most mundane buildings in your neighbourhood. "Lloyd George may well have been her father"
...as the old song goes. An email from the Liberal Democrat History Group brings news of the death of Jennifer Longford at the age of 82. She was the daughter of Frances Stevenson, the lover of David Lloyd George, and most probably of Lloyd George too. Jennifer Longford formed a close relationship with Lloyd George, which included discussing the political issues of the day. Historians and writers such as A J P Taylor, Roy Hattersley and Ffion Hague made use of her high intelligence and amazing memory to help them with their books. it should never be forgotten that he has so far been the only British Prime Minister for whom English was not his first language. 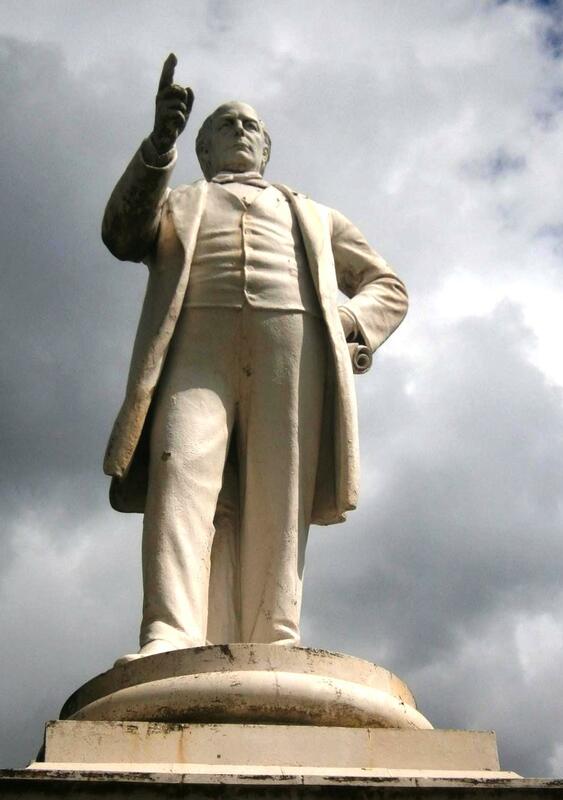 In all his years in Parliament he always had a Welsh-speaking secretary. During the First World War when he was Prime Minister and visiting the western front in France he could telephone directly to his Welsh-speaking secretary in London and the Germans found this an impenetrable code. It's a good thing that the Leicester Labour Party is at each other's throats. Otherwise, with a Labour elected mayor and 52 out of the city's 54 councillors being Labour as well, there would be no debate at all. Last week, on the eve of the Queen's hugely successful visit to Leicester, the mayor Sir Peter Soulsby announced plans for the creation of a Jubilee Square to commemorate the event. Located at St Nicholas Place, the Medieval centre of the city, it would replace a taxi rank and park-and-ride bus stop with landscaped gardens with benches, trees and outdoor cafes. It would also allow the16th century High Cross monument to be returned to somewhere close to its original position. This space has huge significance, linking the modern city centre with the old town. It is surrounded by historical gems – the cathedral, Jewry Wall, Wyggeston's House, the Guildhall, the castle and St Nicholas' Church are all close by, but they feel disconnected from the rest of the city. Despite the cost and the pressure on council finances everywhere, I find myself drawn to this scheme too. Why are we now proposing to spend £4m on a square when we have just spent a fortune (£1.8m) on making it a site for the park and ride? He also highlighted the Mercury's discovery that the idea of a public square at St Nicholas Place was first floated 20 years ago and hinted that it was the fault of Soulsby, in an earlier period of dominance, that it had not materialised then. "If we're questioning the use of that square and area then I'd like to know who on Earth thought it was a good idea to build what is effectively a bus lay-by for £1.8 million. The answer to that question is, of course, Ross Willmott. The controversial proposals by the Conservative-run Harborough District Council to move the town's market from the Market Hall to a car park behind the council's office will be the subject of a demonstration tomorrow. It will begin at the Market Hall at 11.30 a.m. and finish at the Square at noon. 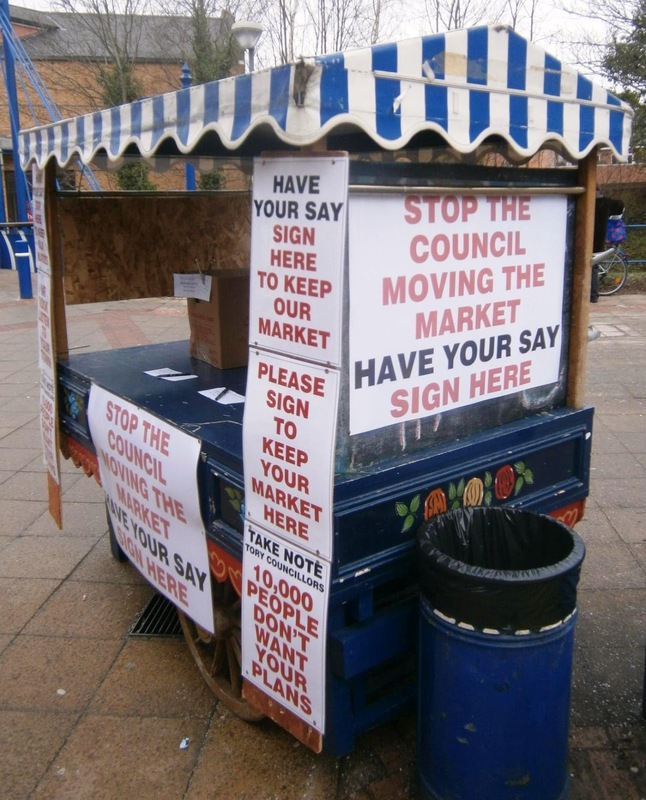 Market Harborough People says that leaflets and posters will be handed out to raise awareness of the council's controversial plans, which include leasing the Market Hall to a chain store. More than 14,000 people have registered their opposition to the council plans to move the traders to Fox Yard behind the council offices in Adam and Eve Street. 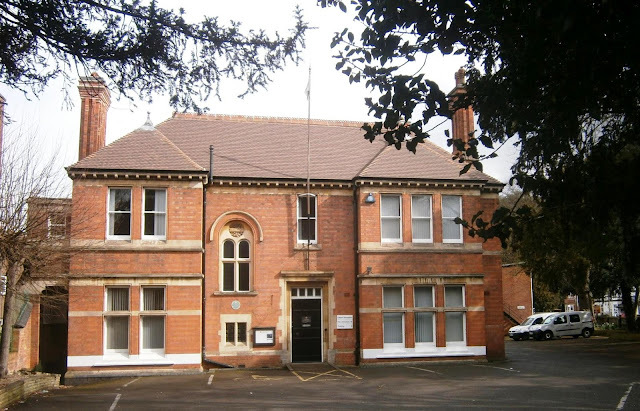 These plans have everything to do with the council's need to balance its books and nothing to do with the needs of the Market Harborough economy. No one but the council thinks that the Fox yard car park is a suitable site for the town's retail market. I was on the council when the new Market Hall was built, and it was seen as an integral part of the redevelopment of the old cattle market site. Today I heard news of a remarkable piece of pettiness from the council. At the eleventh hour it has refused to allow the market traders to use the public power points in the Square for their public meeting. These are normally offered for use by outsiders from tea ladies to kids' roundabouts and farmers markets, as well as for official occasions like Remembrance Sunday and special occasions like Late Night Shopping. As my informant says, this is mean and discriminatory, borders on blatant political interference, and constitutes behaviour quite unworthy of a local authority. Last month I reported that the Liberal Democrat group on Leicestershire County Council had called for the resignation of the body's Conservative leader David Parsons over alleged expenses irregularities.. And informed gossip suggested that his own group was not much keener on him. Parsons survived that crisis, but he is under renewed pressure today after the Leicester Mercury's revelation that he has cost taxpayers more than £1m in expenses and allowances over the past five years. Trips included media appearances, theatre visits, cocktail parties and journeys which would arguably have been quicker or cheaper by train. He arrived at Radio Leicester’s studios on January 9 for an appearance on Desert Island Discs in the civic car. For the past three years, he has been driven to and from the Formula 1 British Grand Prix at Silverstone. In April, he used the car to visit Curve theatre, Leicester, for a performance of Yes Prime Minister. Other theatre visits included a performance of The Little Mermaid, in May 2006. The documents released show that in June last year, as he vied to become chairman of the Local Government Association – the most powerful role in local government – he used the car and driver to go to London to have lunch with a leading local government reporter. When he flies abroad on council business from Heathrow, a car usually takes him door to door. Other events attended in the car included drinks receptions, cocktail parties, a tour of Twycross Zoo, TV appearances and concerts. "We query whether the amounts spent on travel are value for money for residents in Leicestershire at a time of cuts and austerity." I lived without a television for some years. For months after I made this decision I would go to the pub to watch all the big rugby and football games. Yet at the end of it I would often be left thinking what a waste it had been of an evening or a Saturday afternoon. So after a while I gave up doing this. Just occasionally, however, a game provides such drama and excitement that you will always remember it. Such a game was Chelsea's victory over Napoli last night. 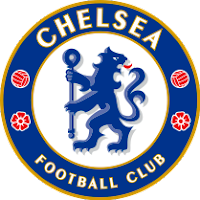 To get the maximum from a game you have to be rooting for one of the teams and I have been a Chelsea fan since I was seven. I can see that others must dislike the club these days, but you cannot will yourself to fall in love or fall out of it. These days I have a television again and can have the football on while doing other things. Not that I could take my eyes off the screen last night. Perhaps the moral is that you have to experience a lot of dull games to be sure you will not miss the ones you will never forget. The Moon Under Water: Watford Central Station?